Water Travel, Dubai. Shot of a sea gull sitting on the prow of an abra, a type of water taxi, across from the traditional neighborhood of Bastakiya. hd00:11Water Travel, Dubai. 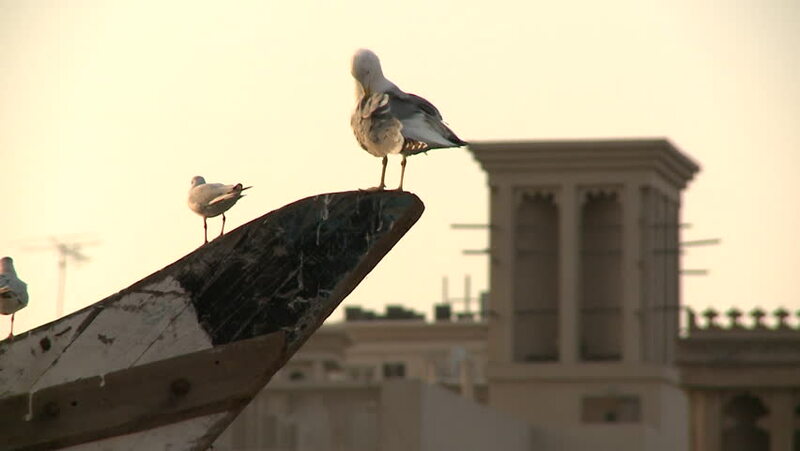 Shot of a sea gull sitting on the prow of an abra, a type of water taxi, across from the traditional neighborhood of Bastakiya. 4k00:30SIBENIK, CROATIA - April 08, 2018 Statue of the Madonna with child vatching over motorway A1 at the Krka highway rest. 4k00:09Curro Romero bullfighter sculpture in Seville. Time Lapse 4K.